Robert is Executive Director of Global Theatrical & Home Entertainment, Studio Facilities and Technical Operations, Invoice to Cash (ITC) process at Warner Bros. Enterprise Financial Services and Business Process Outsourcing (BPO) operations. We work closely with worldwide business unit stakeholders, EFS management and BPO providers to drive operational results, process efficiencies, standardization technology enhancements and improvement of key financial measures and metrics. 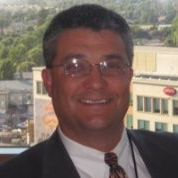 His professional experience includes 20 years in collections and dispute resolution and managing BPO operations.